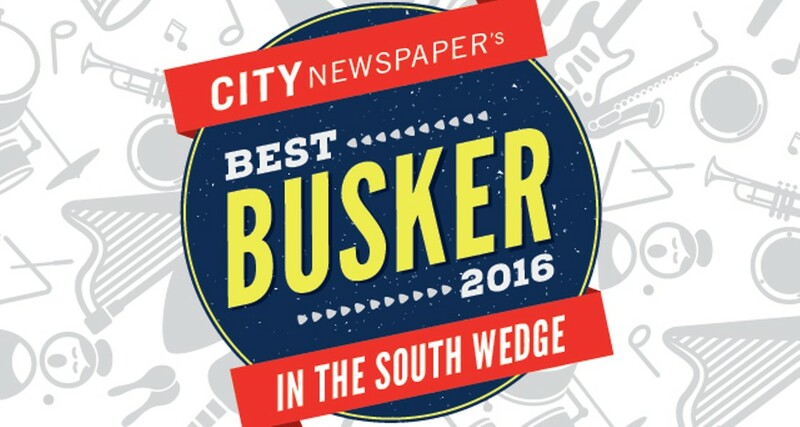 Our annual Best Busker Contest, now in the South Wedge! On May 5, come down to Rochester's SOUTH WEDGE for a night of free music on the streets from great local musicians, plus ridiculous deals from neighborhood merchants. From 5 p.m. to 9 p.m., local shops will be offering special buys on food, drink, goods, and services. And be sure to come by the City Newspaper tent (At the corner of South and Gregory) to get your FREE guitar picks, which you'll use to vote for the live musicians playing on the sidewalks 6 p.m. to 8 p.m.